The arrests came after the deadline set by the government for the medical practitioners to resume work expired yesterday evening. JAIPUR: Eleven agitating doctors have been arrested from seven districts till this morning under the Rajasthan Essential Services Maintenance Act (RESMA) as the deadlock between medical practitioners and the state government entered its sixth day today, police said here. The doctors were arrested from Tonk, Jaipur, Kota, Swai Madhopur, Bharatpur, Jhalawar and Banswara districts, ADG (Law and Order) NRK Reddy said. Reddy said 43 doctors returned to work to avoid arrest. Meanwhile, the stateÂ’s medical and health department issued a notice today to agitating doctors stating that the strike was against the high court order asking them to resume work by Friday. One of the major demands of the doctors is of higher pay scale and promotions. Asked about the issue, Director of Public Health Dr V K Mathur said, "We are trying to reach an amicable solution through talks." Most doctors on strike remained unavailable for comment. 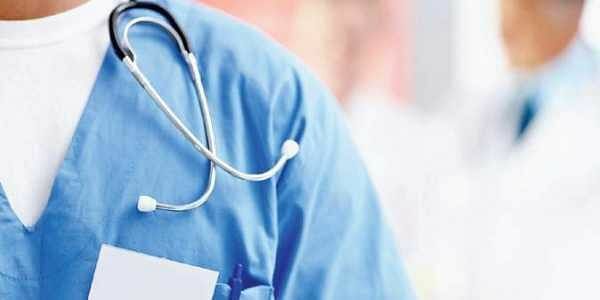 The All Rajasthan In-Service Doctors Association president, Dr Ajay Chaudhary, and the Jaipur Association of Resident Doctors president, Dr Ravi Jhakar, could not be reached. Health minister Kalicharan Saraf had yesterday held Dr Chaudhary responsible for the strike. "Dr Chaudhary seems to have some personal interest... he is trying to create hurdles in breaking the deadlock. He is being guided by someone," the minister alleged. He said several rounds of talks were held with the agitating doctors, who proceeded on a mass casual leave in support of their 33-point demand on Monday, but "the talks failed due to their adamant attitude".